Organizing your monthly bills is a sure-fire way to make sure that the money is there for you to pay your bills in full and on time each and every month—and have some leftover. About 24% of Americans do not pay all of their bills on time. Some just simply lose track of the days, while others don’t have enough money to survive and cover the cost of all of their bills at one time. Paying bills late not only makes a bad impression to creditors, but it can also be really expensive. Most creditors charge late fees and re-instatement fees if they have to cut services off due to delinquent payments. If you are really behind on your payments, the creditor has the right to send your bill to a collections agency, which may reflect poorly on credit. It is very important to pay bills, pay them in full, and pay them on time. Make a list of every bill – Making a list is the 1st step to organizing your bill paying life. Write down each bill you have and their scheduled due dates. This way, you have everything in front of you. Organize by the due date – Now that you have each bill written out with its corresponding due date, organize the bills in chronological order by due date. This way you can see what bills are due at the beginning, middle, or ends of each month. Figure out how much your bills cost each month – Write down how much each bill costs each month and add them all up together. If you have bills that cost something different each month, average out all of your previous bills to estimate how much it can cost you. Once you have this number, make sure that you set aside this amount each month. Opt in for payment reminders – Most creditors will send paper reminders of when the bill with them is due. You can opt in for electronic payment reminders, through their mobile application or even email notifications. If you are anything like the majority of Americans, your phone is always in your hand, you will see the notification as soon as it pops up. Set up online accounts – Online accounts are more efficient than mailing checks in to a creditor. An online account makes bill paying instant. Therefore, you won’t incur a late fee, because your check is taking way too long to get delivered. Schedule specific dates and times to pay your bills – Most people pay their bills two times a month, based on a bi-weekly pay schedule. Come up with a system that will work best for your payment schedule. Coordinate due dates – Most creditors will allow you to change your payment due date so that it is convenient for you to pay on time. You should be able to do this with all of your creditors, so that you remember to pay them. If you have specific bill that is due at the end of each month, and you always forget to pay it, this is a solution for you. Pay early and often – You can pay your bills on time, there is not a penalty for it. Paying often is a really good idea to do if you have a credit card that is maxed out, or almost maxed out. Paying often, will reduce your credit utilization, and will reflect on your credit report. 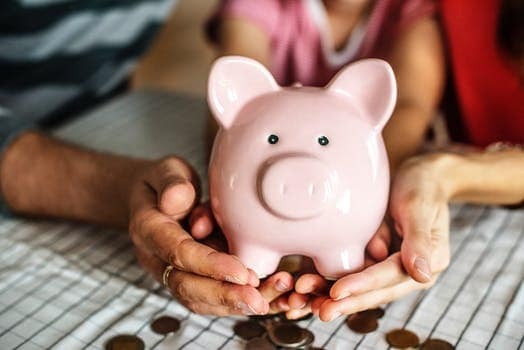 Build an emergency fund – An emergency fund can come in handy if you’ve spent all of your money or forgot that you had a bill due. Having an emergency fund, means that your unexpected expenses are somewhat covered, or even covered in full. It is best to have at least 3-6 months of pay in your emergency fund, but that takes time to accumulate. Just take a small percentage of your paycheck and set it aside for a rainy day. Your chances of missing a payment, will be slim to none if you choose to follow these 9 tips. Don’t allow your forgetfulness to get you in a world of financial trouble that you can’t really recover from. Payment history is extremely important to credit. Organize your bills and start your journey to financial freedom today.